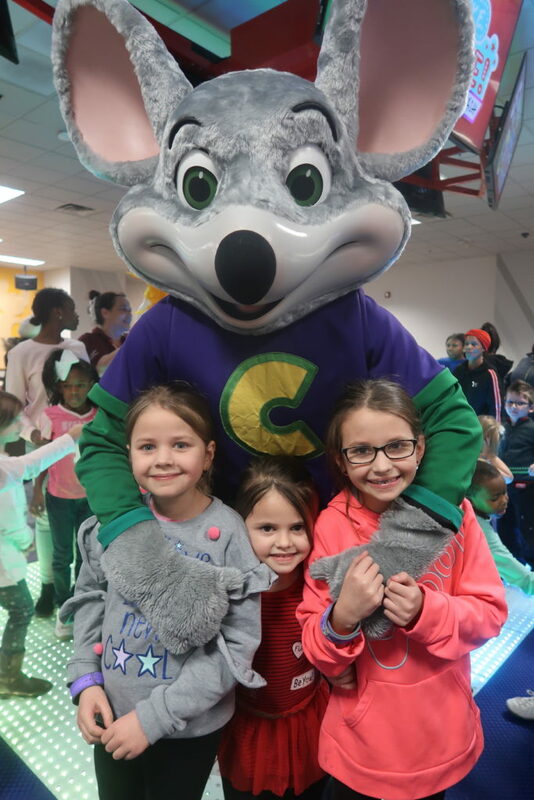 This winter has been brutal here in upstate NY, and it has been hard to find things to keep my kids occupied!I was so excited to receive an invitation to attend the grand re-opening of the Syracuse NY Chuck E. Cheese's, and I jumped at the opportunity to attend and bring my 3 daughters. I thought I would tell you about my experience, since I was very impressed with the Chuck E. Cheese'e Newly Remodeled restaurants. Chuck E. Cheese's restaurant remodels are happening across the country so check to see if your location is included. The new design highlights the pizza-making process and introduces more of a restaurant atmosphere. The restaurant is much brighter and open, they eliminated the sky tube so that you can see your kids at all times. The restaurants feature a more adult ambiance with warm wood, neutral tones and streamlined graphics to create a calmer, more inviting, and friendly environment. There is a light up dance floor in the restaurant section complete with music. 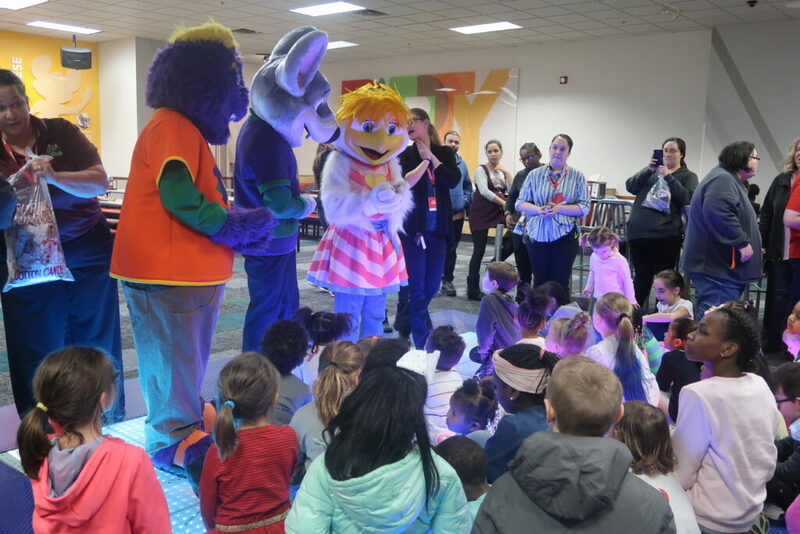 The dance floor lights up with the touch of your foot, so it makes it really fun for kids of all ages. The restaurant was open and clean, and best of all, you can see your kids in the arcade from where you sit and eat. My girls are now 9, 7, and 5. 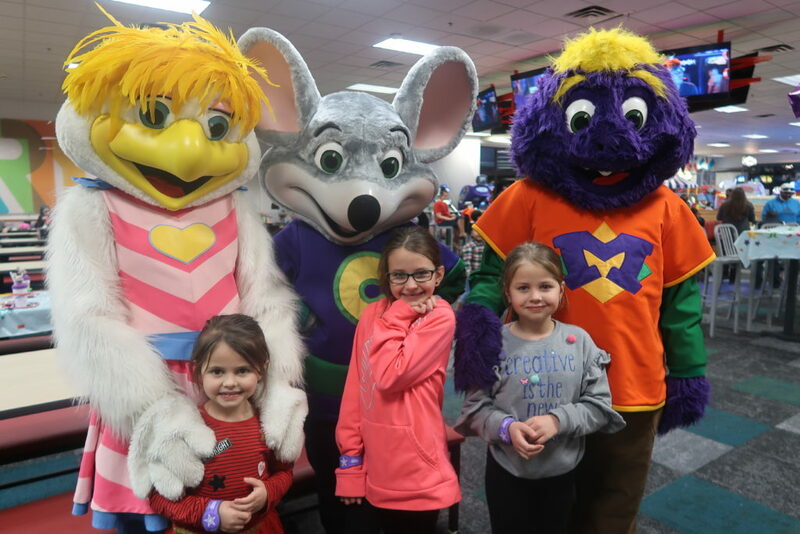 They had such a great time meeting Chuck E. Cheese, Mr. Munch, and Helen Henny. The girls said that the Pizza was AMAZING! 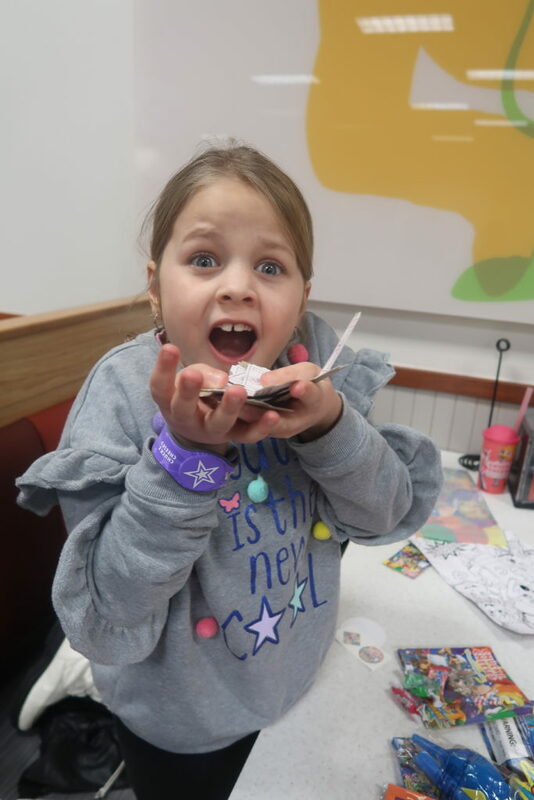 It is made from scratch daily at Chuck E. Cheese’s restaurants, the remodeled stores feature open kitchens, which allow you to watch the pizza making process. When you order you get a light up buzzer to alert you when your pizza is ready, and you easily pick it up at the open pizza window. To order you use one of the self-service kiosks available near the entrance of the restaurants to make ordering off the menu simple and fast. They updated the way you play games too. You now play games utilizing Chuck E. Cheese’s new, programmable ‘tap-to-play’ Play Pass game card system. Instead of using tokens to play games, you now use cards that you load with money. For parents concerned about their children accidently losing or dropping their card, they sell wearable play bands that can be used in place of a Play Pass card. The play bands come in a variety of fun colors, and are reusable item that can be saved and reloaded with points with future visits. They are also offering All You Can Play cards! The All You Can Play cards give kids free reign of Chuck E. Cheese’s to play all games as many times as they want. With this pass, your kids can play all games they want in the timeframe you choose. 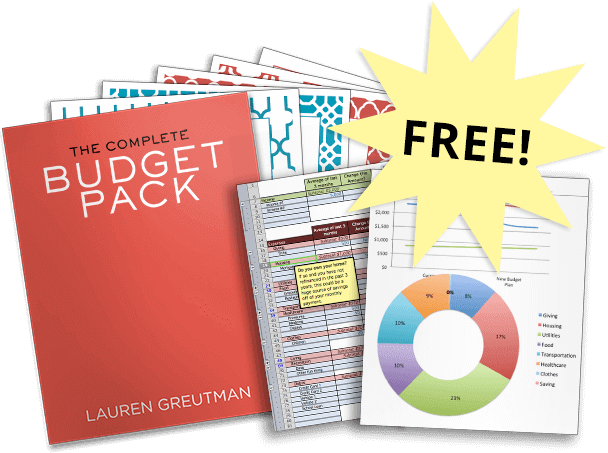 A great value and convenient (when your time is up, you’re done – it’s that easy)! My girls were given 90 minute play pass wrist bands. The girls swiped their bands to play the game and still won physical tickets that they could trade in for prizes! Let's face it – earning tickets is still the best part of the time! We had such a great time playing that we plan on going back next week! Thank you to the Syracuse NY restaurant for inviting us in and showing us a great time!